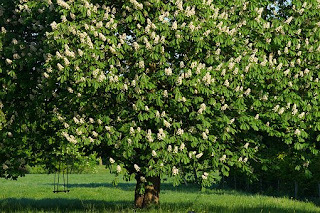 The chestnut tree is a tree of imposing appearance, often reaching to heights of over one hundred feet. Its diameter can reach six to ten feet at the base. If you scratch the bark of the chestnut tree, it automatically turns white, which is symbolic of cleanliness. The wood from the chestnut tree was used to make drinking troughs. Cleanliness is important in the life of the believer. Did you know that scientists have discovered that every snowflake has a tiny piece of dust at its core? Yes, every snowflake has a dirty heart. In the spiritual realm, the blood of Christ is applied to the heart of an unbeliever and it cleanses him from all sin. Not a speck of defilement remains, for God removes every stain and washes each believer whiter than snow. Did you know that in 1842, the first bathtub was denounced as a “luxurious and democratic vanity?” Boston made it unlawful to bathe, except on a doctor’s prescription. In 1843, Philadelphia made bathing illegal between the dates of November 1st and March 15th (cold winter months). How tragic that many Christians have adopted a similar schedule for their spiritual cleansing! It seems as though many would rather have the stench of the world for a season than the sweet-smelling fragrance of cleanliness. ✞ When you see or hear of the chestnut tree, remember the importance of being clean spiritually.